Contains organically grown catnip to attract cats and kittens. Helps prevent damage to furniture, draperies and rugs. Post can be hung from a door knob or laid flat. Features LED lighted ball and fresh pink and green colors. Provides hours of fun and exercise. Reduces potential for furniture damage from scratching. Catnip included. Replaceable scratch pad. 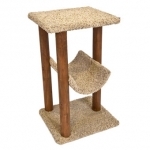 Ware cat furniture is sturdy, durable and attractive to cats and wonders alike. 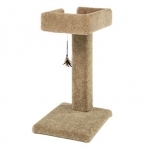 Solid condo satisfies the feline friend&#39;s natural instinct to scratch, climb, perch and hide. Ware cat furniture is sturdy, durable and attractive to cats and wonders alike. 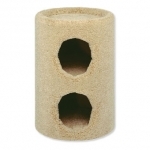 Solid scratcher satisfies the feline friend's natural instinct to scratch, climb, perch and hide. Sit-N-Scratch is the perfect economical scratching and lounging spot for cats. 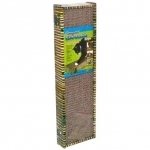 Cats love scratching and playing with corrugated cardboard and curling up on the textured surface to rest and relax. Sit-N-Scratch is the perfect economical scratching lounging spot for cats. 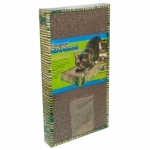 Cats love scratching and playing with corrugated cardboard and curling up on the textured surface to rest and relax. Ware cat furniture is sturdy, durable and attractive to cats and wonders alike. 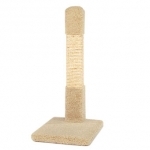 Solid lounger satisfies the feline friend's natural instinct to scratch, climb, perch and hide. Available in a variety of styles, shapes and sizes to fit any taste or budget.